The brass trend is here to stay. The Verona brass candlesticks are an easy way to tap into the warmth and wow-factor of brass without going all out. But trust us - a little still goes a long way. The candlestick’s weighty feel and generous size makes it look like an Egyptian treasure. Luckily you won’t have to part with much of your own gold to get your hands on it. 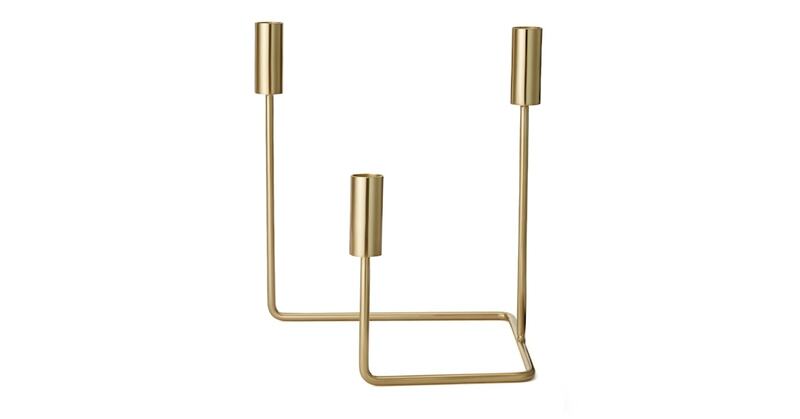 A brushed brass finish and graphic, angled shape leaves gives a luxury feel to this candlestick. Give it as a gift that’ll be well received without costing the earth.